by Berthold E. Schwarz, M.D. What kinds of people see UFOs? What are the psychic aspects of UFOs? The answers to these questions plus more are explored in UFO Dynamics. 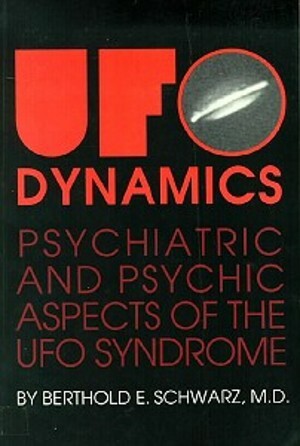 Highly personal factors, not often reported or documented, are accessible to the psychiatrist and are closely related to the UFO problem. They cannot be ignored, denied or laughed away by anyone who's curious about a fuller understanding of the UFO experience.